It’s no secret that games are hard to make. Creating all the art, music, story and play mechanics for a game takes quite a lot of time and effort. As a result, most games reuse content or force players to backtrack or otherwise repeat themselves. While some games do it to a fault, this week’s games manage to capitalize on the best parts of repetition by creating fun and original reasons for you to do the same things over again. 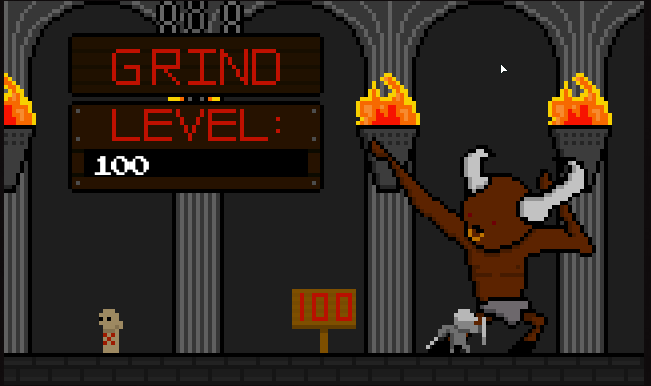 Grindstar isn’t a full game as much as it's a straightforward RPG parody. The game is a dungeon crawler that removes everything from the experience except for the endless numbing level grind, demanding you push a button over and over to level up and defeat increasingly more impressive answers. While the game isn’t exactly fun (you can press left arrow and x to escape the truly ridiculous grinds toward the end of the game) it makes its point in an entertaining and funny package. The challenge of puzzle game Mushbits comes from retracing your steps in the right order. You’re tasked with guiding adorable colored rabbits toward equally adorable cupcakes by guiding them across various platforms. The problem is that as they cross those platforms they change colors, making it impossble for that rabbit to return the way it came. Luckily this also opens up new pathways for another rabbit to hop along to their confectionary victory. Mutant Alien Assault gives you a few simple tasks to do over and over again. Picking up more fuel, depositing it in the reactor across the game’s small levels and picking up new weapons when you run out of ammo. The difficulty is balancing the need to perform these tasks repeatedly with the need to combat the ever-increasing hordes of aliens that get stronger the longer they’re around. If you don’t balance all your tasks correctly you end up with either a horde of aliens too powerful to kill or endlessly fending off a stream of opponents in a level you take far too long to complete. In Why Am I Dead? you play as the ghost of a recently deceased man investigating your own murder. You’ll need to possess other characters, search your surroundings and interrogate various NPCs to try and figure out what lead to your untimely demise. The game isn’t the most complex adventure game in the world, but the intriguing mechanic of solving your own murder along with the logic puzzle aspect of determing who’s alibi checks out and who can be trusted makes the game easily worth your time. 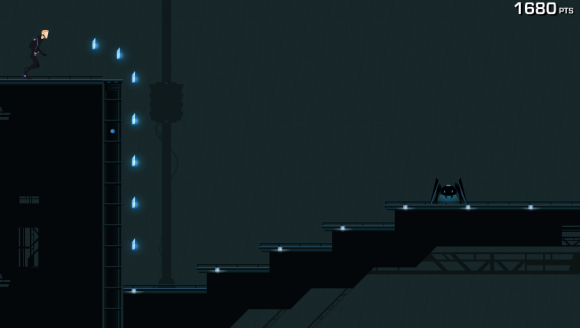 The Last Hope of Doctor Zeit is a game about retracing your steps more literally than anything else on the list. The game starts with the ending title sequence and then asks you to work your way back from the game’s ending to its start, avoiding any nasty temporal paradoxes by jumping down a pit you can’t jump back up or failing to kill an enemy you’ve gotten the points for defeating. David Daw has studied the history and future of television and has a master's in Broadcast and Electronic Communication Arts from San Francisco State University along with a BA in genre fiction from NYU.